Aaron Rulnick serves as co-leader of HJ Sims’ investment banking team and sits on both the firm’s Operating Committee and Board of Directors. With over 25 years of experience in the senior living field, Aaron has financed more than $4.5 billion for the development, expansion, refinancing, acquisition and divestiture of nursing homes, life plan communities (“LPCs”), senior housing, assisted living and memory care facilities for both not-for-profit and for-profit clients. His financings have utilized a wide range of structures, including unrated, investment-grade rated, insured and direct bank purchased bond issues, as well as construction loans, subordinate debt, bridge financing and seed capital. Notably, Aaron has led many of the largest and most complex financings for HJ Sims, including hybrid structures that integrate bank and bond financing and senior and subordinate debt. However, he does not believe that success is measured by the volume of financings, rather by the trust and close relationships he shares with his clients. Aaron takes great pride in giving equal treatment to all of his clients, regardless of size. Aaron works diligently to develop innovative financial structures, which includes the creation of HJ Sims’ unique Entrance-fee Principle Redemption BondsSM, (“EFPRBsSM) for start-up and expansion LPCs. Created in 2006, these bonds provide the ability to use entrance fees to redeem short-term debt with a lower fixed-rate cost of capital, offering short-term financing with pre-payment flexibility. These bonds have since been widely adopted by the senior living financial sector as the standard for deleveraging start-up and expansion LPC financings. Subsequently he has broadened and adapted the use of this product to subordinate EFPRBsSM, as a form of equity, and in other applications, as a source of bridge financing to capital campaign receipts. Aaron pursues the most efficient and flexible financings aligned with his clients’ best interests, which is often not the simplest path. Passionate about the importance of good governance and strategic decision making, Aaron helps educate his clients so they can make the most informed and strategic decisions. 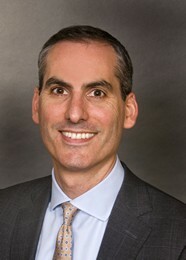 He furthers his commitment to sharing his knowledge and expertise on financial markets, senior living industry trends, and governance by frequently speaking at state and national conferences, to Board and resident groups of senior living organizations, and to other business partners that serve the senior living sector. A past member of the Financial Advisory Panel of CARF-CCAC, he currently serves on the Board of Governors and Finance Committee, and is the President of the Housing Boards, for the Charles E. Smith Life Communities in Rockville, Maryland. Humility, creativity, viewing each financing as a new opportunity and a challenge. Driven by commitment and integrity and not by ego. Aaron’s passion for senior living began at an early age. Aaron enjoyed close relationships with his four grandparents and a sibling with physical disabilities. In addition, Aaron volunteered at a nursing home through his summer camp. These life experiences inspired him to pursue a career that could help create supportive and safe living environments for seniors and persons with physical needs. In college and graduate school, Aaron focused his formal education to support his interest in the senior living field. He earned his Bachelor of Science degree in Housing and a Certificate in Gerontology from the University of Maryland, with a Citation from the Honors Program. He then earned his Master of Public Administration degree with a concentration in Policy Analysis from The American University. Through Aaron’s junior and senior years in college, Aaron interned at the American Association of Homes and Services for the Aging (“AAHSA” now LeadingAge). After graduating college and through graduate school, Aaron worked full time at AAHSA where he focused on critical issues affecting senior living providers, including public policy, operational and financial issues, capitalization, design and marketing; this position was his professional entrance to senior living. At AAHSA, Aaron also had the opportunity to serve as the liaison to the American Institute of Architects, where he was involved in the annual Design for Aging jury process, exhibit and publication. Aaron became interested in the finance side of senior living during graduate school, and decided to embark on a career in investment banking in order to work directly with senior living providers “in the trenches,” and to support their missions and the people they serve. He joined the HJ Sims team in 1997. At Sims, Aaron enjoys the interdisciplinary nature of his work, which allows him to be involved in a wide spectrum of issues facing senior living organizations. In a broader sense, Aaron feels rewarded that his work at HJ Sims helps seniors access the support they need and creates environments where seniors can age “well” and with dignity. Aaron’s interests outside of work include skiing, tennis, hiking, biking and playing guitar and piano. A Washington, D.C. area transplant who was raised in Western Massachusetts, Aaron believes that the D.C. area is a wonderful place to raise a family, and he enjoys spending precious time with his wife of over 20 years and two children, along with the family’s beloved dog.